McGuire opts for a voice that fits the scenery, internal and external, as the characters and the oceanic setting are so intertwined. Emotional snapshots of life in coastal Alaska’s fishing communities form the focus of Rosemary McGuire’s short-story compilation, The Creatures at the Absolute Bottom of the Sea. The stories juxtapose the rugged and unforgiving landscape of rocky coasts and tumultuous waters with the characters’ inner lives of love and loss. In every story, forces of nature—usually relating to the ocean—play a role, either by simply setting the scene early on (often in the first paragraph) or as a dynamic and dangerous participant. McGuire’s characters and her chilly, oceanic setting are deeply intertwined. Her prose is evocative of an evening by the sea as tides change, at times rhythmic and somewhat sparse and then swelling with unexpected emotional impact. Her descriptions are generally uncomplicated and the vocabulary direct, without overt poetic flourishes. McGuire herself has more than a decade of experience in the fishing industry, and this shows in the authenticity of her voice. Her characters are not scholarly or verbose but working class. They feel deeply, and directly, and she writes them with appropriate bluntness and candor. In her story “Angel Hotch,” about a man’s awkward but sincere affair with a young native girl, McGuire writes, “Every night we drank in the camps. I saw lines of coke stretched down the Fairbanks bars, fistfights erupting and setting away, sometimes in a crowd or sometimes in the long, strange light of ambulances, forgotten the next morning.” The stories are often like this, drawing the reader into the scene with ease and without a single unnecessary word. Perhaps reflecting the migratory aspect of the fishing industry laborers themselves, the stories are brief, seldom finishing with a concrete sense of resolution. Instead, McGuire favors a gradual fade-out. In most cases, this works well. But a few of the less satisfying stories never quite get much momentum before ending. 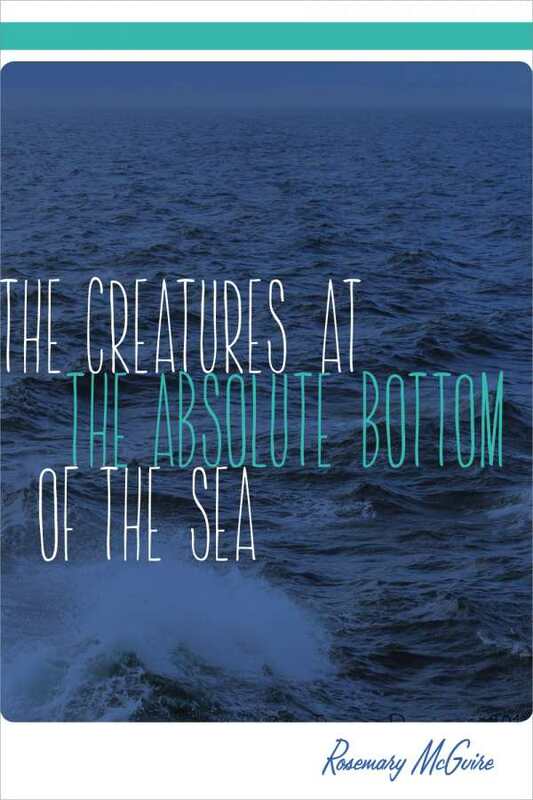 Still, The Creatures at the Absolute Bottom of the Sea marks an impressive debut, one of a storyteller with heart and authority, offering an honest look at the surprising warmth found in a cold place.